We were standing in the middle of a crowded bar. Two minutes earlier, Ray was telling me about what life was like on the Lower East Side in 1970; suddenly, we were talking about the World Trade Center falling and the impending war in Iraq. “An illusion?” I asked, thinking about an old comic book that I had once seen when I was very young. It was a super hero comic. In it, one of the characters realized that he was an illusion. 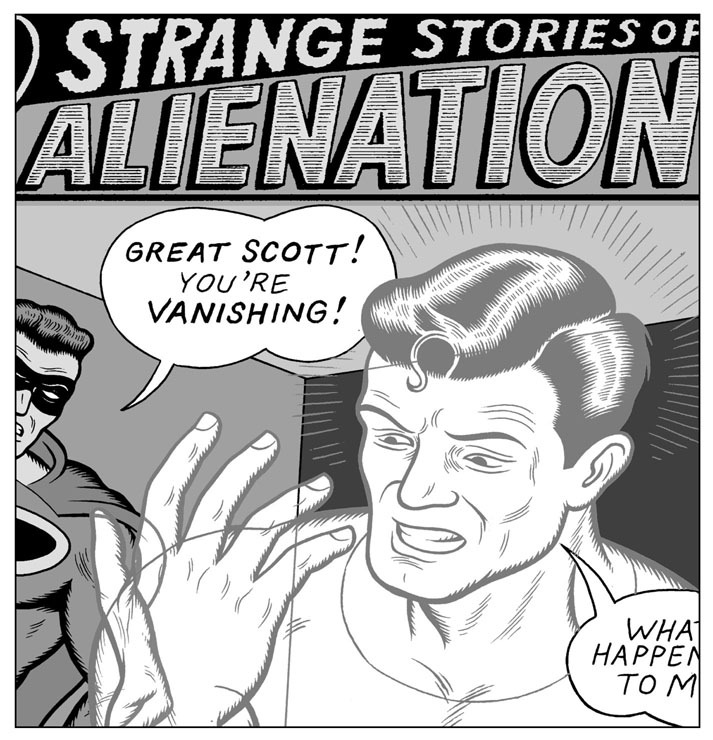 Or maybe he was disappearing into the fourth dimension. The cover drawing depicted him staring at his hand in astonishment. He couldn’t believe that it was vanishing. Whenever I think of an illusion, that’s the picture I see in my head. Suddenly, Ray’s attention fixed on a different subject. “Look, somebody dropped a dollar bill over there,” he said. Under a crowd of people, there lay a crumpled bill. The whole city might be an illusion, but that dollar bill was apparently very real. “Maybe you could slide over there and pick it up,” Ray suggested.